the bacteria living in drinking water. That’s why the local brewers became valuable allies since they allowed soldiers from both parties to hydrate with dark top-fermented beer. 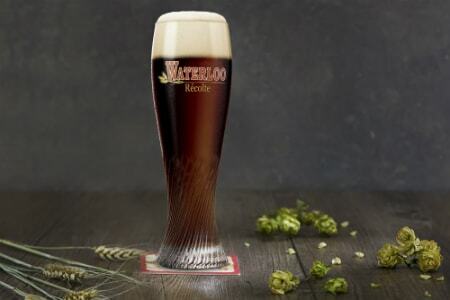 This beer was named Waterloo in honour of the victorious Duke of Wellington, the Prince of Waterloo. 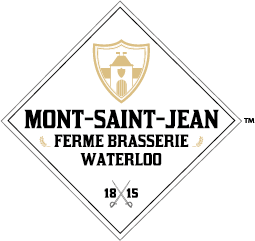 On the occasion of the battle’s bicentenary in June 2015, the local autorities approved a project to renovate the strategic location of Mont-Saint-Jean Farm by supporting John Martin Brewery’s project to take up the challenge. Anthony Martin and his team saw a golden opportunity to pay tribute to the armies who fought at this site and decided to brew Waterloo Beer, the Beer of Bravery on this location. By entering into partnership with Adrien Desclée, who had relaunched this beverage a few years earlier, they joined forces to give new impetus to this beer which had given all those men the courage to risk their lives on the battlefield. Proud of the product’s rich history, they enlisted the help of master brewer Willem Van Herreweghen to acquire the original know-how and recipe dating back to 1456. If you’re interested in beer and history, then don’t miss the opportunity to visit our microbrewery! 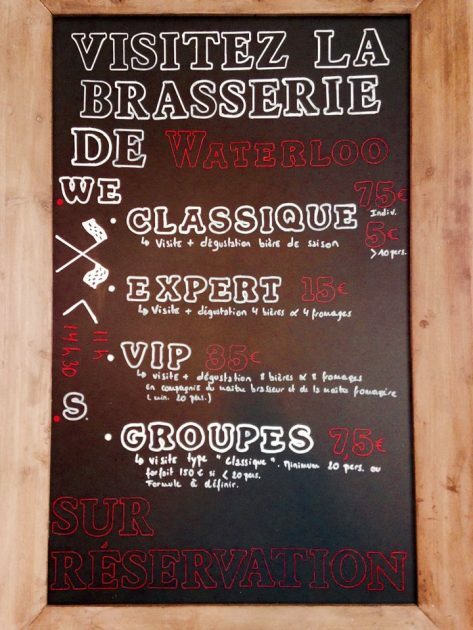 Accompanied by a professional guide, you will be immersed in the story of Waterloo Beer and get to know every step of the brewing process, expanding your knowledge of the beer universe before enjoying a tasting session of our products, which will no longer hold any secrets for you! And for visitors wishing to complement this taste experience we have relied on the expertise of the master cheesemakers from Fromagerie Saint-Michel (declared best cheesemaker of Belgium in 2016) to put together a tasting session of four cheeses that pair perfectly with four of our beers. For guided tours of the microbrewery, you are required to book seven days in advance by calling 02/385.01.03. Our brewer takes you on a tour of the brewery, and afterwards you can taste our Waterloo beer accompanied by cheeses from Fromagerie Saint-Michel. John Martin’s brewers have made every effort to acquire the knowledge of their 15th-century predecessors so as to offer an authentic product to beer lovers from all over the world. 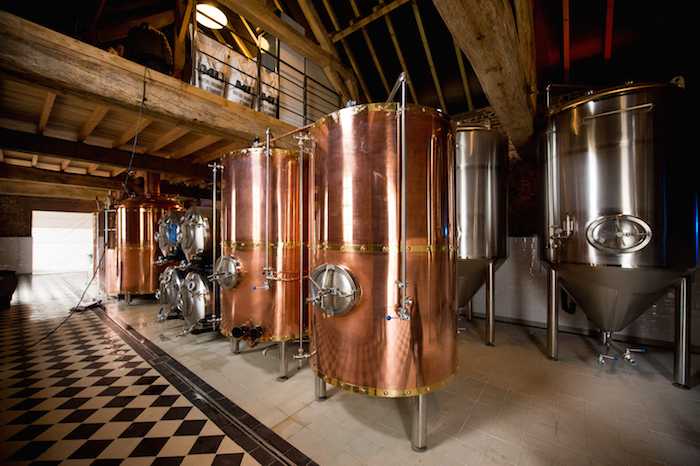 However, don’t be deceived during your visit to the Mont-Saint-Jean microbrewery by its rustic appearance, because there is some hi-tech equipment behind these elegant copper vats. 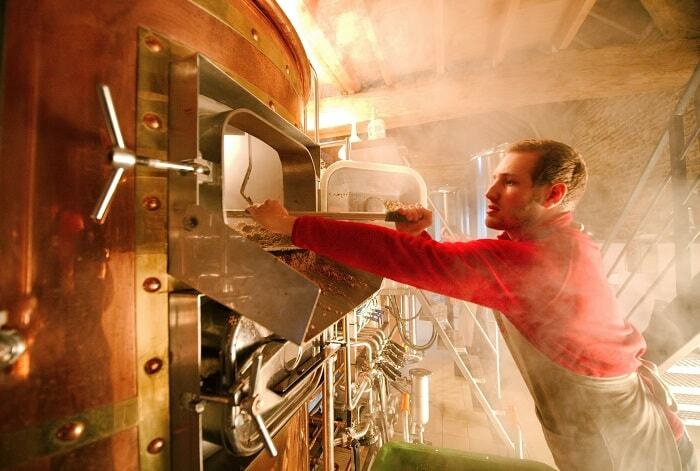 In fact, the Waterloo microbrewery boasts state-of-the-art production facilities which make 10 hl batches possible. The brew kettle features an adjustable bottom which can be aligned to the product volume processed. This hi-tech equipment has all the assets of the big installations specialised in top-fermented beer production. From its very beginnings, Waterloo Beer has been brewed exclusively with local products. distinguishes it from other beers. The water is drawn from the well of Mont-Saint-Jean Farm, whose geographical location in the Brabant area ensures excellent water quality. After treatment, the pH becomes ideal. In addition, Waterloo and its surroundings are situated in an agricultural region. Long before the Battle of Waterloo, it was well known for its imposing farmsteads and abundant harvests bearing witness to the richness of the soil. The basic raw materials are therefore locally sourced, except for the typical hops. But the latter will soon be grown in the site’s surrounding landscape too. where it is mixed with hot water at specific temperatures. 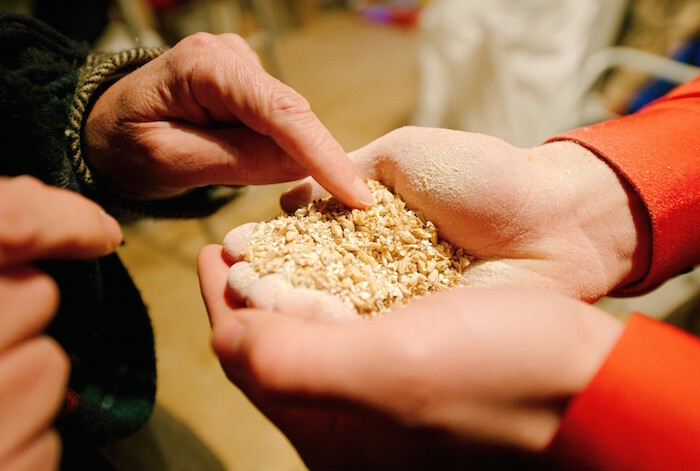 During mashing, the starches are converted into sugars. The resulting sugar-rich liquid or wort is strained through the double bottom of the lauter tun in order to separate the wort from the spent grain. 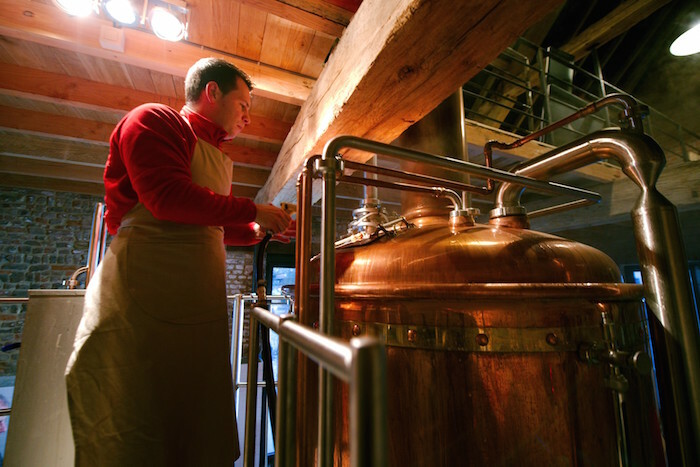 The wort is moved into a brew kettle, also known as a copper, where it is boiled with hops. The mixture is cooled down to a temperature of approximately 25°C in case of top-fermentated beers. Fermentation begins once the yeast has been added. Afterwards, the beer is transferred to horizontal conditioning tanks and finally bottled; at this stage, secondary fermentation takes place. 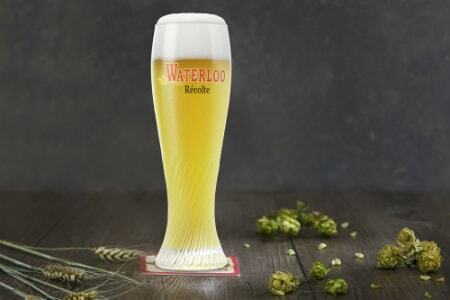 The production of Waterloo beers has not been entrusted to any brewer. 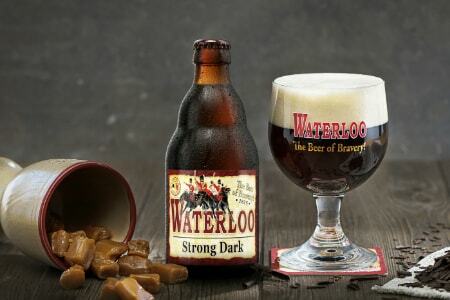 Supervised by Willem Van Herreweghen, two young brewers have taken the destiny of the Waterloo product range in their hands. Having worked at Timmermans Brewery for several years, Thomas Vandelanotte gained a great deal of experience. Born into a family of brewers, John Martin’s great-grandson Edward Martin literally grew up with beer and cares deeply about the high quality of their products. Kloris Devillé has been an expert in the brewing process for over 15 years. After his training in brewing and malting, he started working at Timmermans Brewery, where he learnt the mysterious lambic production techniques. He has been employed at Mont-Saint-Jean Farm for two years now. This dynamic team brings authenticity, vitality and quality to the Waterloo beers, which all have their own history. is quickly complemented by a bitterness that runs to the back of the mouth. 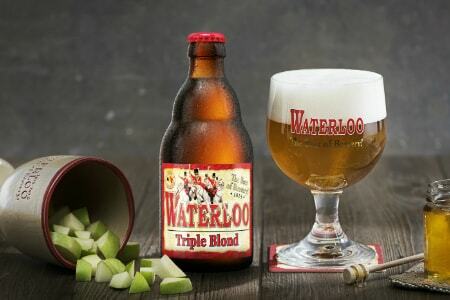 Its complexity, with its raw ingredients clashing a little like cannon shots, but each tastier than the last, with alternating bitter hops and the flexibility of its malt, gives this Waterloo beer the taste of victory. of the ardour of the soldiers of the Battle of Waterloo. Strong and reassuring, it provides a sweet conclusion at the back of the throat, a symbol of a well-deserved treat at the end of a busy day. 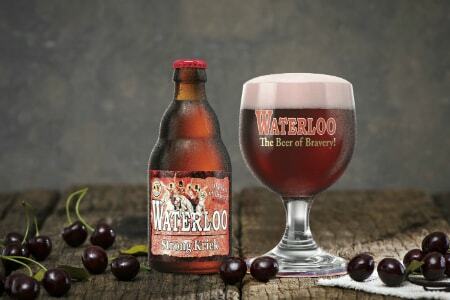 Waterloo Strong Kriek is the new Belgian craft beer designed at Mont-Saint-Jean farm, on the Waterloo battlefield. Our master brewer has created the perfect blend between a top-fermented beer and a typical cherry Lambic: a unique brew, a well-balanced fruity taste with a strong character. Our strongest Kriek ever! 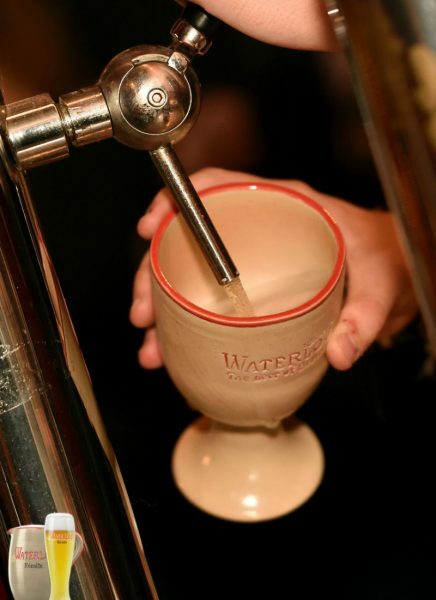 local traditions, our brewers have relied on a master potter from the area to handcraft the chalices which give Waterloo Beer its traditional taste. It takes seven days to produce a chalice!